Wildly dangerous pedestrian crossing at U Street and Florida Ave NW. Pedestrians crossing U Street along as they walk along Florida (to the east) are faced with an incredibly dangerous crossing. Even with a walk sign cars zoom over the crosswalk as they turn right off of 18t street on to U street eastbound. 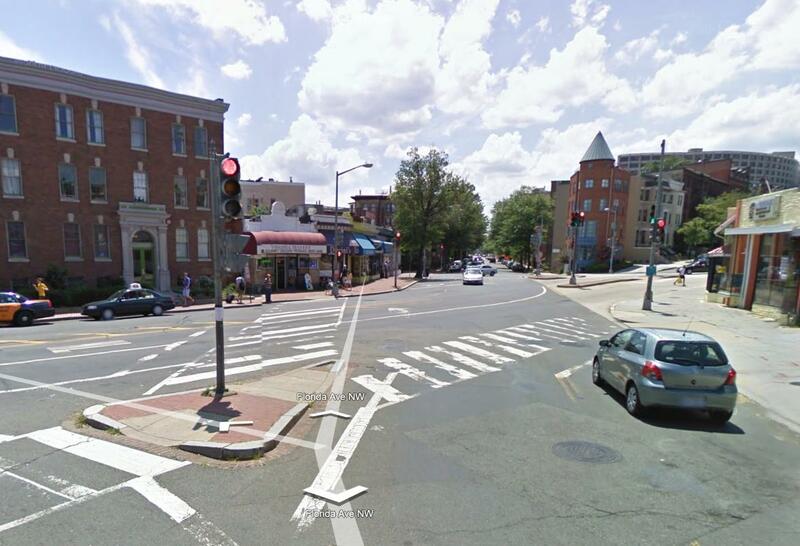 Residents have identified a serious safety hazard for pedestrians crossing U Street just east of 18th Street NW. Drivers are confused by the traffic signal and routinely run the light. Fast moving cars are in direct conflict with pedestrians who have the right-of-way. This is a tragedy waiting to happen. I know that this intersection will be redesigned during the 18th Street Streetscape, but we need an immediate fix here. Please advise what DDOT can do. I have directed my safety team to assess the intersection and make interim improvements immediately if there is indeed a problem. We’ll keep an eye out for temporary improvements at this crossing, but it’s encouraging to witness SeeClickFix work the way it does in New Haven, CT. In the meantime, be sure to report problems you notice on this great emerging social media tool. And contact Managing Editor Erica Schlaikjer if you’re interested in blogging for TheCityFix DC about any of the SeeClickFix issues you care about: eschlaikjer[at]wri.org.